As a business owner or property manager in the Twin Cities, you know that first impressions are critical to your success. Your property’s appearance is often the first thing visitors notice—is yours sending the right message? Let the experts at Meadow Green Landscape help you create one-of-a-kind curb appeal that will wow every guest. For 30 years, Meadow Green Landscape has provided comprehensive commercial landscaping and property management services for businesses, municipalities and residential developments throughout the Minneapolis and St. Paul metro area. Our certified, licensed landscaping experts understand that creating curb appeal and increasing property values involves more than just a perfectly manicured lawn – it takes the right combination of hardscapes, plants, water features and lighting, backed by meticulous property management. Your project begins with a collaborative process to define your needs and goals. Then, our designers will design a plan that brings your vision to life. 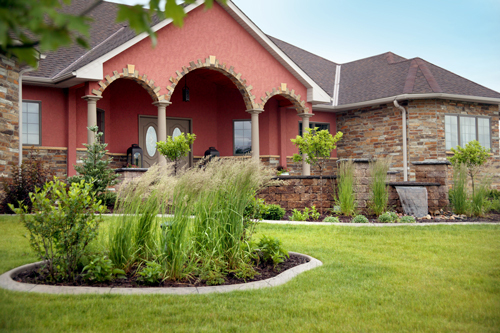 With expert craftsmanship, our landscape contractors work tirelessly to ensure your installation exceeds your expectations, while staying on track and on budget. To keep your property looking fresh all year long, Meadow Green offers comprehensive property management services, including irrigation, garden care, lawn care, fertilization, weed control, spring and fall cleanup, snow and ice removal, and parking lot and street sweeping. Our enhancements team is always on hand to help you identify opportunities to increase curb appeal, whether it’s adding a few ornamental bushes or a complete redesign. We will create a custom maintenance program to help demonstrate your company’s consistent commitment to quality and professionalism. Whether you need full-scale landscape design and development, minor property enhancements or ongoing property management, Meadow Green Landscape has the capabilities to do it all. 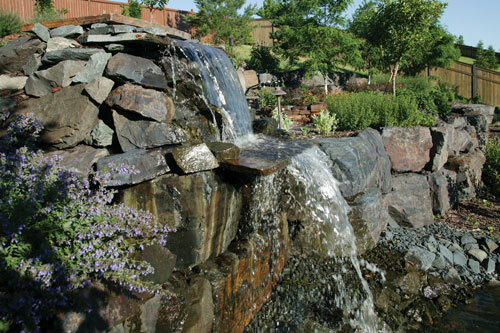 Waterfalls create a peaceful environment and relaxing element of water to your landscape. Professionally installed by Meadow Green, your water feature will compliment and bring serenity to your existing landscape. 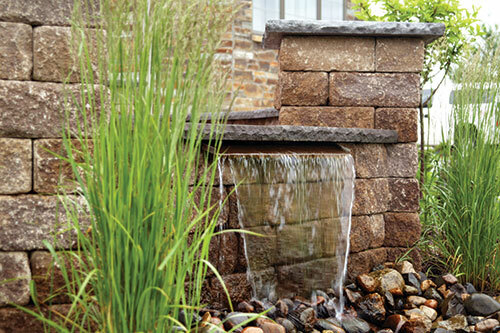 Pondless water features near a patio or along a path provide a unique focal feature and add the soft sounds of water. They use less water than traditional fountains and require very little maintenance. Tired of useless, boring areas in your yard? 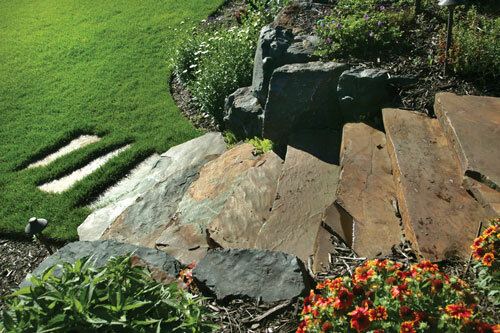 Meadow Green can create a beautiful, functional areas and sense of connection between spaces with the use of natural stone stairs and pathways. Our property management customers trust us to provide unbeatable property maintenance services at townhouse, retail, office, and other commercial properties. Meadowgreen understands the importance of maintaining the value of your investment. Whether with minor or major landscape enhancements, we can help you to demonstrate your company or organization’s commitment to maintaining a professional property appearance. Your home is more than just a house, and your landscape is more than just a yard. It’s a place to call your own — place of retreat and relaxation — a gathering space to enjoy all the seasons of Minnesota. Let our certified landscape designers show how they can create a truly stunning and unique exterior living space.